Poisson, who lost his own father to cancer two weeks ago, was a hugely popular figure on the World Cup circuit, known by his nickname of "Caillou" – the French for pebble. France's David Poisson reacts after competing in the men's World Cup super-G in Kitzbuehel, Austria, in this January 25, 2013, photo. Poisson, a downhill bronze medalist at the 2013 world championships, was killed during a training accident in Canada on November 13, 2017, the French ski federation announced. French skier David Poisson, a downhill bronze medalist at the 2013 world championships, died after he lost a ski and hit a tree when falling heavily in training, the French ski federation said on Tuesday. "According to information currently available to the French ski federation, David Poisson fell heavily after losing a ski during a shared training session with other countries, which took place yesterday (Monday) in Nakiska, Canada," the federation said. "David Poisson reportedly hit a tree after passing through the safety nets." The Nakiska resort in Canada is used by many teams for preparation ahead of the World Cup events at Lake Louise on November 25-26. "The French ski federation has since last night been in contact with David's family to support and accompany it in this terrible moment," the federation added. Poisson, who lost his own father to cancer two weeks ago, was a hugely popular figure on the World Cup circuit, known by his nickname of "Caillou" — the French for pebble — given his short muscular build. Poisson, the father of a young son, took part at the 2010 and 2014 Winter Olympics at Vancouver and Sochi, finishing seventh and 16th, respectively, in the downhill races. The Frenchman's death is the 12th on the professional circuit, the last coming when compatriot Regine Cavagnoud died after hitting a German coach at the Austrian resort of Pitzal in 2001. Ski racing remains a danger-laden sport, with injuries and crashes commonplace. Racers require nerves of steel, courage and raw physical aggression, but also the mental ability to safely manage risk down perilous slopes. There is no better example than Kitzbuehel's "Streif" piste, a 3.3km-long roller-coaster of a run with an average gradient of 28 degrees, peaking at a mind-boggling 85 degrees high up the course and where skiers have to negotiate a 80-meter jump. Racers reach motorway-coasting speeds of 130 kilometers per hour, at times combating centrifugal forces that hit an astonishing 3.5G. 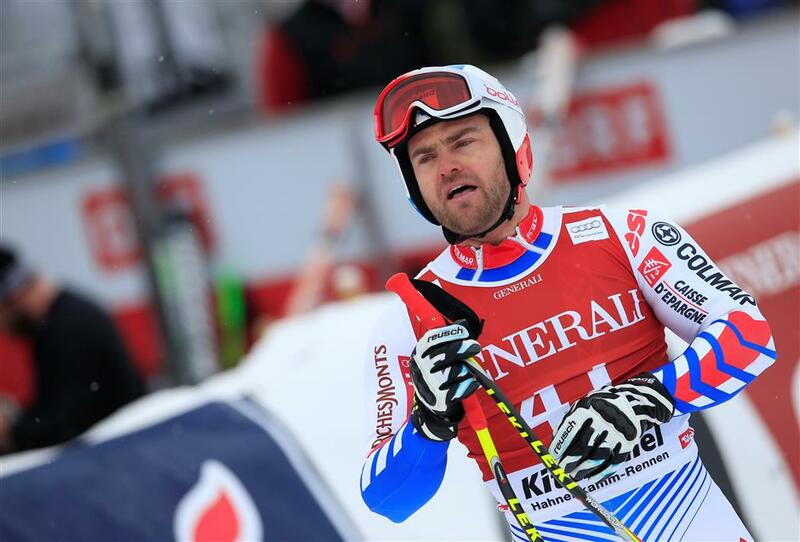 Poisson claimed a top-10 finish in Austrian resort on three occasions, each time left reveling at having mastered the ultimate test for a professional ski racer.